1. Candy Says / 2. Beginning To Get It / 3. What Goes On / 4. Swwet Jane / 5. After The Fall / 6. Love Song / 7. White Devils / 8. Two More Hands / 9. Rules / 10. Purple Mountain Glory / 11. Beginning To Get It / 12. What Goes On. 1-4: Crocodile Cafe, Seattle WA, May 25, 2000 / 5-12: Terrastock 4 Festival, Showbox Theater, Seattle WA, November 4, 2000. Track 12 has two hidden bonus cuts! 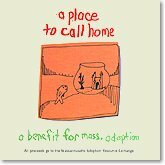 Reverse Curve's A Place to Call Home is a benefit compilation for the Mass. Adoption Agency, a seventeen track CD of unreleased material. 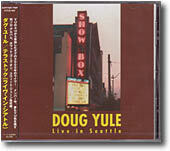 It includes Beginning To Get It, Doug Yule's first release as a solo artist. A Place to Call Home was produced by Pete Weiss. Reddog is Doug Yule (fiddle, vocals), Cary Lung (mandolin, vocals), and Tom Collicott (guitar & banjo, vocals). 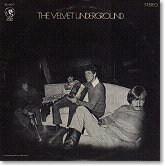 Third Velvet Underground album, recorded November/December 1968 at T.T.G. Studios, Hollywood. 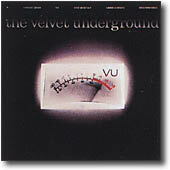 Fourth Velvet Underground album, recorded at Atlantic Studios, New York City, between April and July 1970. 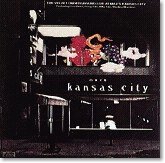 Live album compiled from two sets played at the Max's Kansas City on August 23, 1970 - the last shows with Lou Reed. Billy Yule - Doug's brother - plays the drums in place of Moe Tucker. 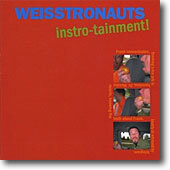 A 4-CD box set with 4 live shows recorded between 1971 and 1973. 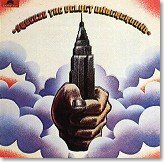 Actually a Doug Yule solo effort, recorded in October 1972, with Ian Paice on drums. All titles written by Doug Yule. Legendary live 2-record set, compiled from late 1969 End of Cole Ave and Matrix tapes. 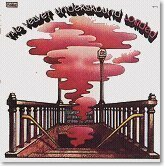 A collection of previously unreleased Velvet Underground studio recordings, including 8 tracks with Doug Yule. 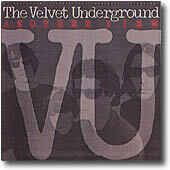 Another collection of previously unreleased Velvet Underground studio recordings, including 6 tracks with Doug Yule. Doug plays bass on Billy. 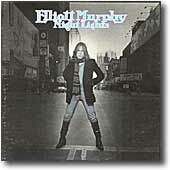 Doug plays bass on Downtown Dirt, an unreleased track from the January 1975 Coney Island Baby sessions. 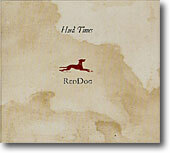 The track is also available on the promo CD sampler Selections from Between Tought and Expression. Doug Yule plays guitar on Abraham Lincoln Continental, Rich Girls and bass on Lookin' For A Hero. Doug is also credited for vocals on Deco Dance, and You Never Know What You're In For. American Flyer is Craig Fuller on bass, guitar, vocals; Steve Katz on guitar, harmonica, vocals; Eric Kaz on harmonica, keyboards, vocals; and Doug Yule on drums, vocals. Side 2: Woman in Your Heart (Fuller) / Love Has No Pride (Kaz/Titus) / Queen of All My Days (Yule) / Drive Away (Kaz) / Call Me, Tell Me (Fuller) / End of a Love Song (Katz/Martin). 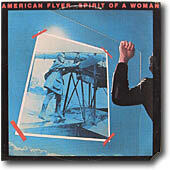 Side 1: Spirit Of A Woman / Gamblin' Man / My Love Comes Alive / Victoria / Dear Carmen. 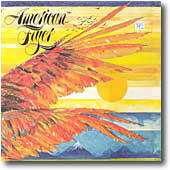 Side 2: I'm Blowin' Away / Flyer (Doug Yule) / The Good Years / Keep On Tryin'. Line up is Craig Fuller, Eric Kaz, Steve Katz and Doug Yule. Also appears: Whitey Glan, drums & Prakash John, bass. And Jerry Scheff, John Kapec, Bobby Keyes, Ben Mink, Tracy Nelson, Sylvia Tyson, Linda Ronstadt & J.D. Souther. 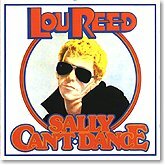 This record has a handfull of 'Lou Reed folks' involved... Beside Steve Katz, Doug, Whitey, Prakash also a couple of other 'wellknown' guys from Lou records get credits on this album - Dennis Katz (Sally Can't Dance), Bob Ringe (Coney Island Baby) and Allan MacMillan (Berlin). I'm Blowing Away was released as promo mono/stereo 45 with picture sleeve - same artwork as the album cover. 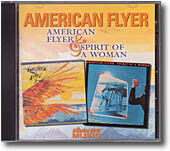 Both American Flyer albums have compiled onto one CD, with additional liner notes. Doug played on 3 songs: “Chicky” (fiddle), “Banana Suit” (bass) and :”What Goes On” (yes, that one) (bass & fiddle).